This chapter is the preface to the final few chapters of this amazing Book. We start with the prophecy that these seven plagues are to be the last, because with them God’s wrath is completed. We have seen other plagues and events crush the Antichrist, his demons and followers, all pointing to the error of their ways and their delusional wrong-thinking. Should there be any remaining who are still uncommitted before these plagues, this will be their very last opportunity to turn around and give their lives, or what is left of them, to God, Revelation 15:1. It is key for us to understand that God has infinite mercy and loving kindness. We have seen examples in many other places in this book, and indeed throughout Scripture, how He is not willing that any should perish. He will do all that He can to encourage those who are yet undecided to change their ways and to follow Him, 2 Peter 3:9. But the ultimate choice lies with each one of us – individually – as God has no grandchildren! Whether we agree with this fact or not, makes no difference; salvation is God’s plan and to be saved, we must choose to do it His Way, not ours! He created us to be eternal beings, made up of a spirit, a soul (mind, will and emotions) and a body. When we die, the body returns to the dust from which it was taken; the mind, will and emotions (the soul) are no longer required, but the spirit will live on into eternity. The only place we have in which to choose our eternal decision is on earth, and that decision confirms our final destination – heaven in God’s Presence forever, or hell without God forever. Revelation tells us here that these plagues are to be the last. They have not yet happened (they begin in Revelation 15:7), but we are prophetically told that with their completion, every man and woman will have made his or her decision. God’s wrath – His conflict with men, who want nothing to do with Him – will be complete and all will be ready for Judgement. This Chapter foretells the imminent collapse of the Satanic Empire in all its horror, with the resulting devastation from the attempt to usurp the authority of God; it also foreshadows Satan’s final destruction. These seven angels stand ready to do God’s bidding. They are His servants and they know what is to come. When we study this Book we will also discover the final result and as we finish the last chapter, we will no longer have any doubt about the result! God wins – Satan loses! Once again we see the glassy sea, as in Revelation 4:6, but this time it is mingled with fire, representing judgement. The saints, who are around the throne, have triumphed over the beast and all he stands for, Revelation 15:2. These martyrs had not compromised their faith by taking his mark, however hard that choice must have been. Martyrdom was indeed victory! Remember Revelation 12:11 says that: “they overcame him by the Blood of the Lamb and by the word of their testimony; and they did not love their lives so much as to shrink from death.” Jesus said, “Whoever would save his life will lose it, and whoever loses his life for My sake will find it,” Matthew 16:25. Fire is often used as a symbol of judgement. In Hebrews God Himself is described as a “consuming fire,” Hebrews 12:29. He loves to burn up the dross, the rubbish of wrong attitudes, stinking thinking, and all the other rough edges we do not need. Those making up the sea of glass were “having the harps of God,” which reaffirms that victory leads to praise! Heartfelt praise is thanking God for all He has done, but it also includes exalting Him by faith, for all He is yet to do! This is the greatest act of faith – to praise God when everything around us appears to be catastrophic – or perhaps not working out as we would wish. Praise turns our focus outwards towards God Himself and away from our inward negative thinking, regardless of the circumstances; praise enables us to reach a higher perspective, which rewards us with the blessing of God drawing nearer to us, as we draw closer to Him. Focusing on Him reminds us of Who is in control and that His Word is the final authority, regardless of others’ opinions. These overcomers, who surround the Throne, remind us that when we become Believers, God begins a process of conforming us into the image of His Son, Jesus Christ. “For God knew His people in advance, and He chose them to become like His Son, so that His Son would be the firstborn among many brothers and sisters. 30 And having chosen them, He called them to come to Him. And having called them, He gave them right standing with Himself. And having given them right standing, He gave them His glory,” Romans 8:29-30 (NLT). What an awesome concept to realise that we are covered in His Glory! This process begins to transform us, as we learn obedience. When we read something in the Word, we need to decide not only to believe it, but also to do it – as ‘faith’ is a verb in Hebrew – regardless of what our background traditions might have taught us. The Presence of God in us helps us to become God-pleasers. This will certainly be the challenge during the Tribulation. Obedience comes through baptism – Baptism in the Holy Spirit, Acts 2:1-4, when our spirit becomes empowered with the Lord’s Presence. St Paul says in 2 Corinthians 5:17: “Therefore, if anyone is in Christ, the new creation has come: the old has gone, the new is here!” Jesus’ Spirit then becomes our Counselor, guiding us through the trials and triumphs of our lives and equipping us with spiritual gifts and talents to use for His Glory, until our bodies die. Then our spirit, which is ‘in Christ,’ goes home to be with the Lord in Glory. Nowhere is this process more marked than with these end-times Believers, who must withstand the opposition of demonic forces. These come in the form of troublesome family, neighbours Luke 21:16, and with Satanic leaders, in a world that is suffering from the final all-out, but doomed onslaught of Satan. As we have already seen, taking ‘the mark of the beast’ clarifies a person’s opposition to God. Refusing the mark requires courage, faith and determination, resulting in a victory that might well result in martyrdom. At this time the world will be in a turbulent state – experiencing chaos beyond measure. The Sea of Galilee looked just as treacherous, when Jesus invited Peter to get out of the boat to walk on the water. Those who have the courage to overcome and make a stand for God, will weather the storm, as if the sea has become as smooth as glass, Matthew 14:22-32. As Moses was leading the Israelites out of Egypt to freedom in the Promised Land, they came to a place called Pi Hahiroth, beside the Red Sea. Here, to the human eye, they were trapped! Ahead was the sea, with steep un-climbable escarpments on either side, so the people were filled with terror, as they realised that they were hemmed in and that Pharaoh’s army was hot on their heels, intent on re-capturing them, Exodus 14. Satan believed that God’s people were now finally in his grasp, (Pi Hahiroth literally means ‘the throat, or gorge, of the serpent’), but God told Moses what to do and in obedience, Moses stretched out his staff and the sea parted! The Israelites walked through on dry land, but the sea covered the pursuing Egyptian army, drowning all of them. Moses and the Israelites rejoiced in God’s deliverance and sang a song of victory, Exodus 15. For a beautiful rendition of the Song of Moses. 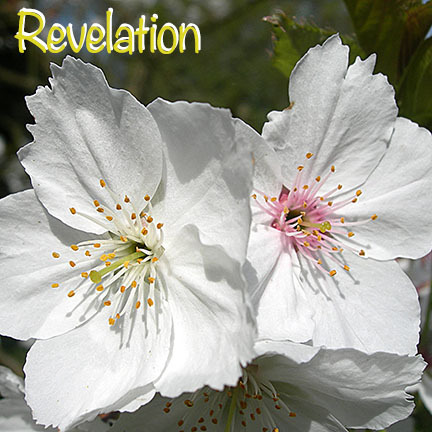 In Revelation 15:3-4 we read that the victorious Believers: “ ….. sang the song of God’s servant Moses and of the Lamb: Great and marvellous are Your deeds, Lord God Almighty. Just and true are Your ways, King of the nations. 4 Who will not fear You, Lord, and bring glory to Your name? For You alone are holy. All nations will come and worship before You, for Your righteous acts have been revealed.” This is the song which Moses sang when the children of Israel had come triumphantly through the dangers of crossing the Red Sea. It is also the song for those who had come through the sea of martyrdom and arrived safely on the heavenly shore. They can now look back on the terrors and trials through which they have passed, rejoicing with all the other Believers at their final and undeniable Victory! This beautiful song is not just the song of Moses and of those victorious in the Tribulation, it is also the Song of the Lamb. The Lamb, of course is Jesus Christ, the Son of God Who overcame Satan and his demons at the Cross on Calvary, over two thousand years ago. He is the most qualified to sing this song, as the words are taken almost completely, from Old Testament verses. The praises are focused on the greatness of God Himself. Christ is the ‘Captain of our Salvation,’ the firstborn of many brethren; He alone is the One who took all our sins, sicknesses and diseases in His own Body, on that cruel tree. Without Him, we would be without hope in this world. When our trials are finally over, they will all pale into insignificance compared to the Glory of God, which is revealed in His Victory. All Thanks, Praise and Glory to Jesus Christ, our Lord!!! The Temple on earth was an example (a shadow) of the things to come and the instructions for its building were given to King David. John, in his vision, is clearly seeing the picture of the ancient Tabernacle, or Tent of Meeting, and it was from here that the seven avenging angels emerged. Prior to that, the Tabernacle was the place where God chose to live among men. The real Tabernacle is in Heaven and it is this one that was opened. Jesus never came to replace the Law of Moses, nor to take it away. On the contrary, He came to fulfill the Law, which is so good to remember, as we see the final death pangs of Satan: “For truly I tell you, until heaven and earth disappear, not the smallest letter, not the least stroke of a pen, will by any means disappear from the Law until everything is accomplished.” Matthew 5:18. These are Jesus’ own words, so we can trust and expect that every word we read of His in the Bible will be fulfilled to the letter, but perhaps not in the way we expect! This applies to all our lives and yet, as we look back at our mistakes, we can see how God has turned them around for our refining and His Glory! Jesus’ priestly ministry far surpasses all the work of the priests from the Old Testament, since He’s working to His Father’s perfect plan. If the first plan—the Old Covenant—had succeeded, a second would not have been necessary, but we know that the first was found wanting, because of ‘the Fall.’ Consequently, God said that the days are coming when I’ll set up a new plan for dealing with Israel and Judah. I will replace the Old Covenant, which was in place when I led their ancestors by the hand out of Egypt. Afterwards, they reneged on their part of the promise, so I turned away and let it go. This new Covenant that I am making with Israel will not be written on paper, nor chiseled in stone; this time I am imprinting it on the lining of their hearts. I will be their God, they will be My people. My chosen people will not need to attend school to learn about Me, nor buy a book called, ‘God in Five Easy Lessons!’ They will all come to know Me personally; the weak and the strong, the poor and the rich. I will put My Laws in their minds and write them on their hearts and when they turn to Me in repentance, I will choose to remember their sins no more, so that the slates of their past are wiped clean. It is key to note that there can be no forgiveness without the shedding of blood. With the Old Covenant, blood was shed through the on-going sacrifices of animals. Jesus was the Perfect Lamb, Whose Blood was shed for us – once and for all time. No other sacrifice is needed, when we earnestly repent and ask Him, to forgive our sins. So with Christ’s Blood, the Old Covenant becomes obsolete and is put on the shelf – and there it stays, gathering dust.’ These words in Hebrews 8:7-13 NLT, still apply to us today and it is good to meditate on these very precious verses and to know their truth, in that Jesus really longs for us to know Him intimately. There is such a huge difference between knowing about Jesus, and knowing Him personally! The distance from our head-knowledge, to our heart-experience, might only be measured physically in inches, but the distance spiritually, is the chasm between heaven and hell! God is the God of Justice; He alone is the Righteous God, whose dwelling place is on the Mercy Seat in the Most Holy Place. In His Great Mercy, He has done everything possible, especially during the last seven years of the Tribulation Period, to show these people who He is, by continuing to cajole them to turn to Him to be saved; but now the time of His Love and Mercy are almost exhausted. There are always consequences to actions, so the punishment of the plagues to come, for those who have totally rejected God and have chosen to follow Satan and his beast system, are entirely just. It is as if the whole of Heaven holds its breath. The seven angels who are God’s servants to implement the plagues of judgement come out of the Temple. They are ready to receive the plagues from one of the four living creatures. This signifies that authority has been given to the Church, which we can see in the following passage: “His (God’s) intent was that now, through the church, the manifold wisdom of God should be made known to the rulers and authorities in the heavenly realms, 11 according to His eternal purpose that He accomplished in Christ Jesus our Lord,” Ephesians 3:10-11. The bowls into which the plagues are placed are basins, so when they are tipped the contents will pour out all at once, signifying the speed and suddenness of judgment, as it is poured out on the earth. The way the angels are dressed signifies the solemnity of the occasion and the purity from which they have just come – God’s Presence. Each wore a royal and priestly long white linen garment with a gold embroidered girdle around the chest. Their given task is to administer the wrath of God. No man on earth has yet seen the wrath of God in all its fury and horror – but those of God’s enemies who are alive at this time are not only going to see it – they are going to experience it. Contrast these bowls of plagues, which are being carried from the Presence of God, to the sweet-smelling incense being burned on the Altar of Incense, just outside the Most Holy Place. We are told in Revelation 8 that this sweet-smelling incense is mixed with the prayers of the Believers to purify them before being carried up to God. There will still be Believers alive – those who have given their lives to Jesus during the Tribulation Period – and they will be interceding, asking God to save those who are still in a position to listen to His Word, prior to the pouring out of these bowls of judgement. God’s Glory is symbolised by smoke, which is tangible and visible to those who are willing to attend to Him, Revelation 15:8. For example, in Exodus 19:16-19, we read that when Moses led the people out to meet with God, at the foot of Mount Zion: “On the third day there was thunder and lightning, with a thick cloud over the mountain, and a very loud trumpet blast. …… Mount Sinai was covered with smoke, because the LORD descended on it in fire. The smoke billowed up from it like smoke from a furnace, and the whole mountain trembled violently. 19 As the sound of the trumpet grew louder and louder, Moses spoke and the voice of God answered him.” Again at the time when King Solomon and the Israelites brought the Ark of the Covenant – signifying the Presence of God – into the Temple, the cloud filled the Temple of the LORD…. the priests could not perform their service, 1 Kings 8:10-13. This smoke and cloud signified God’s Glory and Presence. Oh that we would experience such Presence of God in our day – in these last days in which we live – that we would see Revival in our land and among the nations, before the time of Tribulation, when believing in God will be so much more difficult! “Oh, that You would rend the heavens and come down, that the mountains would tremble before You! 2 As when fire sets twigs ablaze and causes water to boil, come down to make Your name known to Your enemies and cause the nations to quake before You! 3 For when You did awesome things that we did not expect, You came down, and the mountains trembled before You. 4 Since ancient times no one has heard, no ear has perceived, no eye has seen any God besides You, who acts on behalf of those who wait for Him,” Isaiah 64:1-4. This needs to be our daily prayer for our nation, as we agree with His Word; in other words, His Will. Surely God will hear our prayer and pour out His Spirit upon all flesh again, to enable us all to see His Glory manifested in a new and magnificent way? Revivals in the past have lasted just a few years – maybe three or four at the most – but I believe that if we pray now, we will see in our lifetime a Revival like none we have seen before; a Revival until Jesus comes to take us home: “For the earth will be filled with the knowledge of the Glory of the LORD as the waters cover the sea,” Habakkuk 2:14. What an awesome day of praise and worship! 2. *Do you find it hard to praise God when in a trial? Do you have any advice for someone in the group who may find it difficult to praise at this time? 3. Take time to meditate on Hebrews 8:7-13 NLT. What part has the Holy Spirit highlighted to you? 4. *Do you think you would recognise when the Glory of God fell? Do you have any pointers you could use to tell if it was real or counterfeit? 5. What was the instruction given to the seven angels from the voice in the Temple? 6. *Describe the activity and the outcome of the first three angels. 8. *Who were the contents of the bowls for? Who was it not for? 9. Can you make a comparison of these judgements and the trumpet judgements, Revelation 8:6-11:19. 10. *What was the outcome of the fourth angel’s activity but what did not happen? 11. What did the fifth angel do and what was the result? 12. *How does the preparation for the battle of Armageddon take place? Who is involved? 13. What happened when the seventh angel poured out his bowl, what was said? Does that remind you of any words of Jesus. What does it mean? 14. *Describe in your own words what happens next? 15. What was the people’s reaction to God after the pouring out of these bowls?